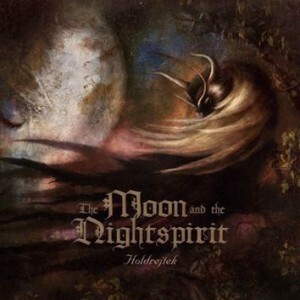 Since their debut Of Dreams Forgotten and Fables Untold (Equilibrium Records), The Moon And The Nightspirit belong to the most popular proponents between Medieval, Pagan Folk and World Music. With Holdrejtek (“lunar sanctuary”), its fifth and arguably strongest album so far, the Hungarian duo makes its debut on Auerbach Tonträger / Prophecy Productions. On their latest effort, The Moon And The Nightspirit stay true to their style, which is coined by ethereal vocals, violin, acoustic guitar and percussion, yet appear more mature and diverse than ever in terms of composition and instrumental arrangement. Just like its predecessor Mohalepte, Holdrejtek is much influenced by a deep veneration for and love of nature as far as its concept is concerned.